As a matte lipstick fan my lips tend to dry out and get all yucky and flaky, not a good look! I don’t normally invest in lip scrubs and usually gently wipe my lips with a wet flannel or brush with a soft toothbrush when I remember to. 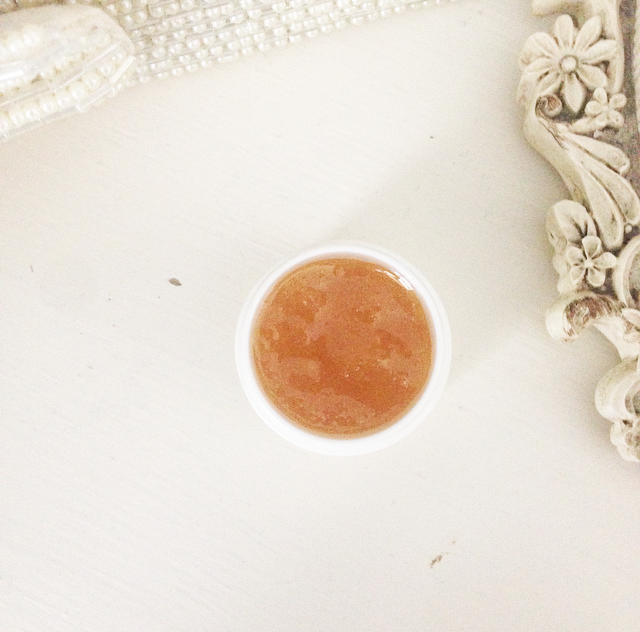 With a kitchen full of skin care worthy ingredients I decide to make a quick lip scrub. Manuka Honey for it’s natural humectant properties drawing moisture to the skin and of course healing properties. Sweet Almond Oil to create a protective barrier and sugar as an abrasive exfoliant. # Get a ramekin or small dish and add 1 teaspoon of honey, I use Manuka Honey 12+. # Add 2 teaspoons of granulated sugar, I used white as it’s more refined and gentle on your lips. # Combine together to make a thick paste. # Add in 2 drops of edible flavoured oil, I used almond oil you can choose mango, lemon or lime if preferred. # Decant into a small pot with a lid, the scrub will fill a 7.5g pot perfectly, I used an old eye gel pot washed out. Ta dah! It’s ready to use! 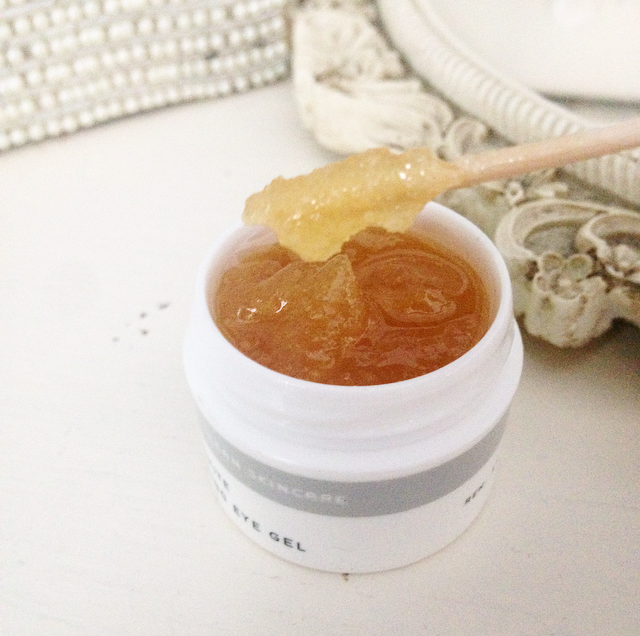 The texture is satisfyingly thick and the sugar granules perfect for the level of exfoliating my lips need. The colour is rich and the smell is so yummy I just wanna eat it!!! Seriously it’s taken me ages to write this post as I keep opening the lid and taking a whiff every few minutes. When applied to damp lips it’s gloppy enough to stay put but easy to move around and massage in circular movements. Technically this is completely edible with a pleasant sweet taste so feel free to lick some off! Personally I like to rinse off with warm water and pat my lips dry and finish with a layer of balm. I’m really pleased with how it’s turned out and will start using it a couple of times a week to keep my lips soft and smooth. Have you got any homemade kitchen beauty product recipes that really work? This is a wonderful idea! I’m definitely going to try it. Winter weather plays havoc with my lips.